Welcome to Wallpaper Wednesday and this week’s offering, Tress by Sian Elin. 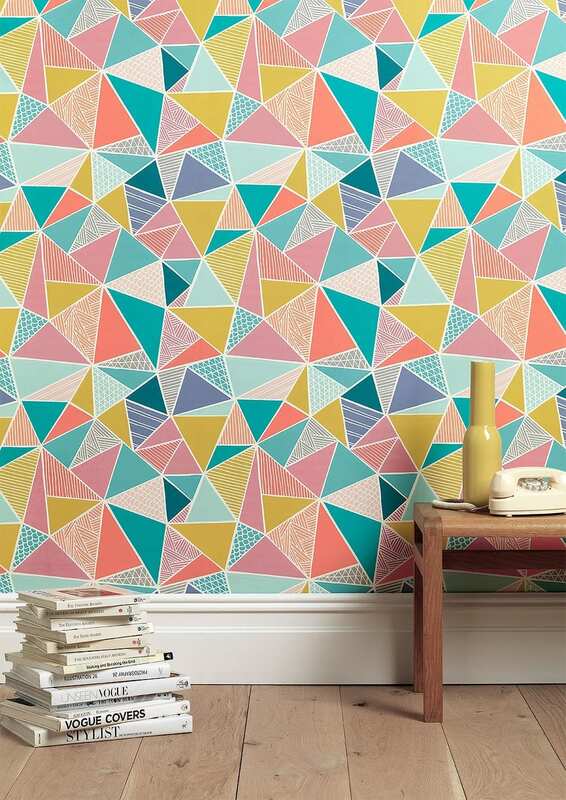 Tress Multi is a graphic, colourful take on ancient Eastern design and I love it. I love the nod towards the pastel trend; very popular this summer and I think it’s here to stay for a while too. 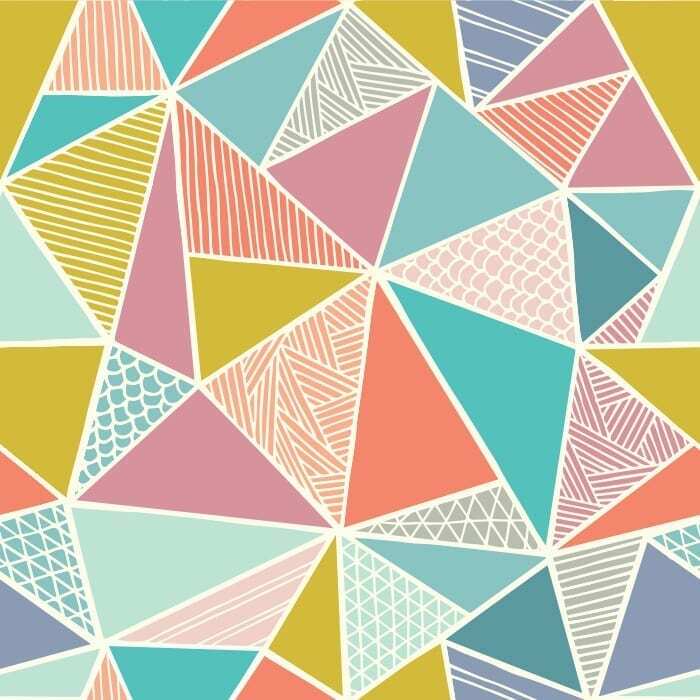 Of course, I love the geometric look of the print, which still gets under my skin every time I encounter a fresh, bold design. Where would you use this wallpaper? Well, to be honest, absolutely anywhere. It’s a great fit for a teen’s bedroom, for the dining area, the living room, or even the downstairs loo. Now if the bold colouring is a little too much for you, how about Tress in Grey? It still has plenty of impact but without the colour overload, if that’s not your thing. Good for a boy’s bedroom of course, or any area you want a more subtle choice. Tress by Sian Elin is available from the Sian Elin website including samples and retails for £90 per roll. 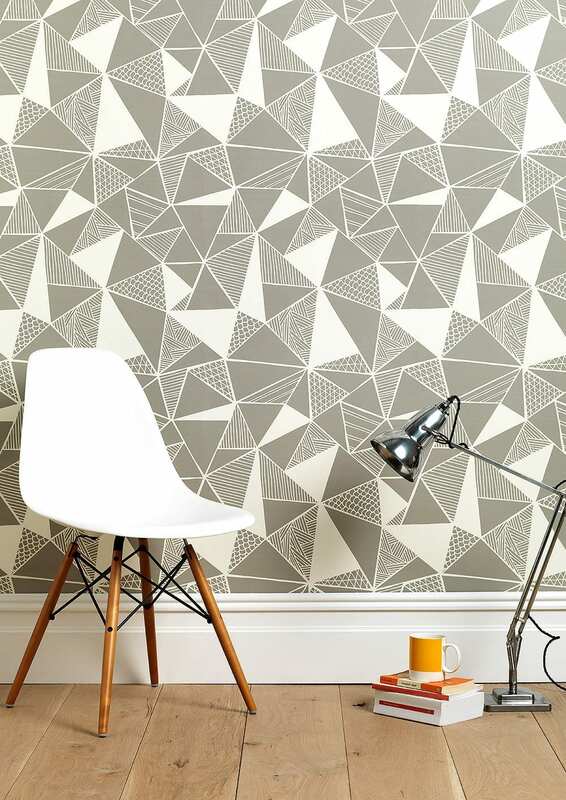 I love seeing home decor like wallpaper that I probably wouldn’t use in my own house. I’m not an interior decorator and I’m always super worried that it just won’t mesh well with the aesthetic that I’m trying to represent but love when others can do it well. Walking through HomeGoods the other day, I saw a chair with a bold pattern and rivets lining the perimeter that I absolutely loved but couldn’t figure out how to make it work for me. Good choice, Jen, this is one of my favourites! I adore the multi coloured version (wish I had somewhere I could use it), but the grey is very nice too.